Lately, I have been reading A LOT of local fiction by local authors. Some of the authors are still active, others not, but I have never felt drawn to a genre so much as I have this one. I have just finished Liverpool Lamplight by Lyn Andrews and just like the rest of the novels I have read, it moves me in ways other genres don’t. Of course, I read for pleasure, I read a wide variety of novels with different scenarios and characters but the story lines in the likes of the above really touch me. These are real life, salt of the earth stories. I am happy with the subject of my first novel, as I believe an event as big as WW2 should never be forgotten by us and future generations. These people went through the hardest of times and something that today’s society could simply never be able to comprehend. In Liverpool Lamplight the presence of death and heartache is extremely prominent. Three members of one family die in quick succession and the children were forced to grow up quickly, given the war and loss of parents etc. Lyn Andrews also represents just how strong the women of the war were and how they kept their families together with very little means. This has been beneficial for me as this is something I want to put across in Cormorano. 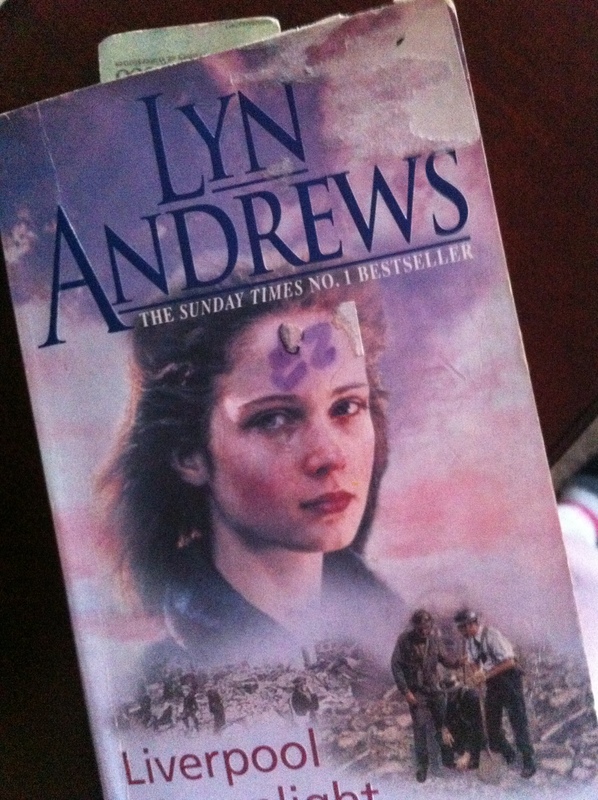 This genre of fiction and writers such as Lyn Andrews are teaching me and inspiring me just as much as any WW2 non-fiction book! 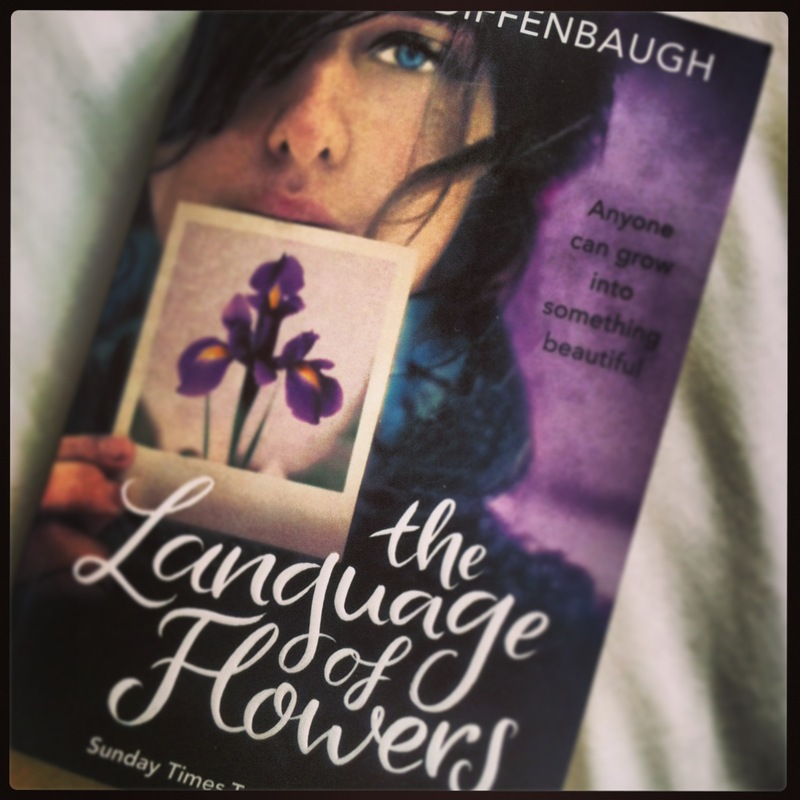 I had been wanting to read Language of Flowers by Vanessa Diffenbaugh for a good while so I had high hopes for this novel. A good number of people had recommended the book for its beautiful language and I’m glad I wasn’t disappointed. Diffenbaugh writes about Victoria, an 18 year-old girl who has lived in care homes all of her life. When she comes of age she chooses to live on the streets and in solitude. The novel flits between her time spent with a foster parent, Elizabeth, and the present day. Victoria is a very interesting but turbulent character. At times, I was sympathetic towards her and other times I couldn’t let myself understand her decisions. However, over the years, and particularly from Elizabeth, Victoria learns the language of flowers. A dictionary depicting each meaning of every different flower becomes a dictionary to her own life. This is the most engaging part of the novel i.e. the way Diffenbaugh uses flower meanings as a device for our own difficulties in communicating our true feelings is truly brilliant. Victoria becomes a successful florist simply by arranging flowers that correspond to the true intention of the sender for the recipient. Victoria’s troubles and woes are at times quite dark and harrowing, but this is where Diffenbaugh excels in her writing and knowledge because this still happens in today’s day and age, young people are still finding themselves alone without a home or place of belonging with difficulty in communicating personally and socially. This coming of age novel is engaging and you I found myself willing Victoria to become content with herself and find her place in the world… you’ll have to read it if you want to find out if she does… A beautifully written, inspirational novel. 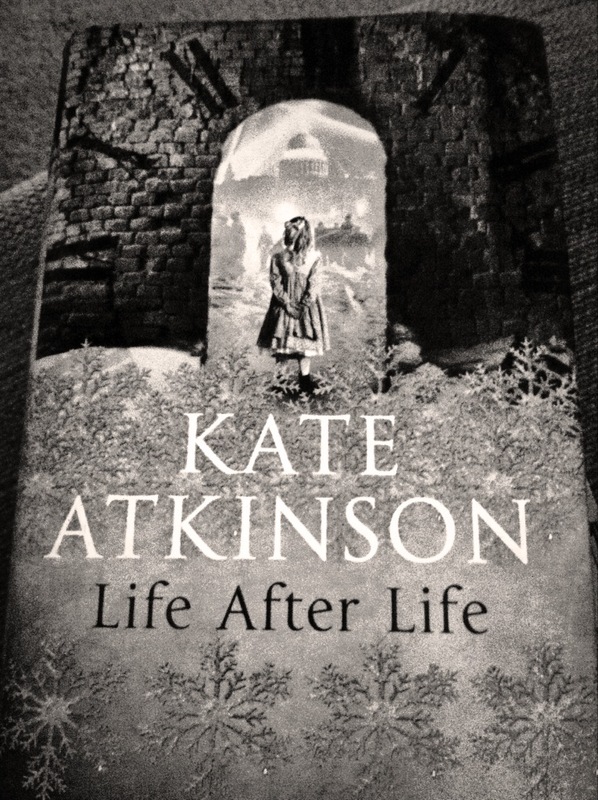 This is the first novel of Kate Atkinson’s that I have come across. I haven’t read any others from her, but I have a feeling I have started with the best one. Life After Life is one of the best books I have read. The plot is extraordinarily moved along by a ‘reincarnation’ thread. Ursula Todd is born in 1910 but also dies the same day she was born. Atkinson submerges Ursula in historical events such as World Wars, The Depression, Inventions etc where she experiences both the hardest and happiest times of her life. Ursula is a very interesting character and not the haunting type you may expect given the synopsis. Atkinson represents Ursula as a compelling, strong, witty character. Particularly during the chapters surrounding the blitz, which are accurately harrowing, Ursula is a very believable character and I felt for her, wanting her to be happy with her life. The structure is the strongest element of the novel as we follow Ursula through the different time periods of her life. It proves to be a brilliant technique and so well articulated that you can’t help but become enraptured with this woman’s fascinating story. Atkinson writes about the Blitz of World War Two with skill and precision, which personally for me is inspirational, given my current novel genre. The concept and structural elements are admirable as both a reader and writer. I would recommend this to anyone who appreciates historical fiction with an extremely clever, engaging concept. Advice: read Life After Life as close together as possible. Loved it! I read this a while ago now, but every now and then I’m drawn back to it. I started to read it when I was on holiday and two or three other people around the pool also had it with them. I remember one woman specifically, quite a loud woman… noticed me reading it and said, ‘Do you get what she’s on about love? !’ Clearly this lady wasn’t following the story and didn’t seem happy with it at all. I on the other hand, stuck with it and followed the narrative with interest. I replied a bit hesitantly… ‘Oh, erm, yes but it’s a bit different isn’t it.’ I wasn’t prepared to start a debate about Donoghue’s writing skills around a pool in Menorca! And to be honest I did struggle to ‘get into it’ until the fourth chapter, but after that I was away. Room is centered around five-year old Jack and is narrated by him throughout. This in itself is a difficult narrative to uphold so for that alone I applaud Donoghue. Jack has only ever lived in Room with Wardrobe and Television. The nouns are capitalised as Jack sees them as real things i.e. real people and companions. He lives with his mother in Room and this is all he has ever known. His mother was kidnapped seven years ago and captured in Room. Jack is all she has. Jack’s narrative is beautifully and quite heart-breakingly innocent considering his awful circumstances. He almost makes the reader believe that his living arrangements is totally normal and acceptable. It is very powerful writing from Donoghue and she successfully blends Jack’s reality with normality. This is the most admirable part of her writing, it is so very consistent. For me, this was extremely helpful to read as my current novel idea is written from the viewpoint of a 14-year old boy, which is a challenge initially. And to make a situation that would normally be seen as depressing, seem not too harsh, is very skillful. I would highly recommend this to any reader and in particular fellow writers who are looking to either write from a child’s perspective and/or to give your readers a long lasting memory of your characters…Donoghue hits it spot on. This book was written by a local author and true Liverpudlian, Deborah Morgan. Disappearing Home is her first novel and bloody brilliant. 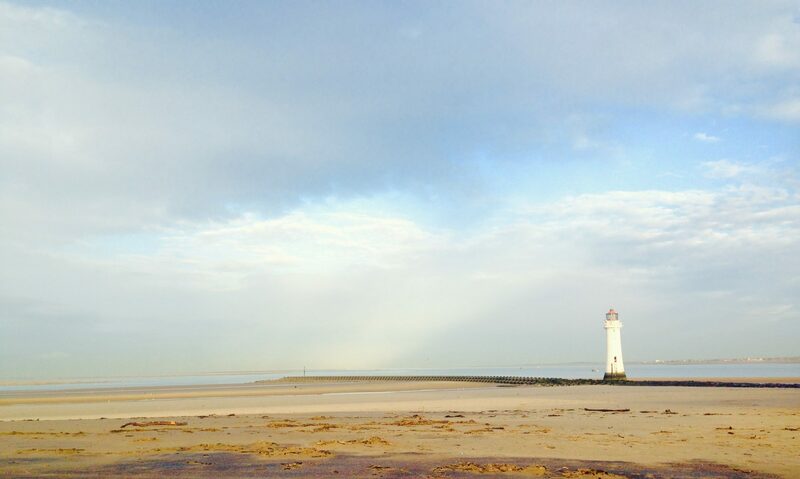 Growing up in a family from Liverpool I have heard many stories of past childhoods and notable locations. My parents grew up in the area where this novel is set so through their stories, I felt very connected to the story, the setting, and the terminology. Morgan has created a real salt of the earth story and it has since been very influential to my own writing as I feel very strongly towards time and place in my writing. The story is centered around Robyn, a ten-year old girl who is sent out to steal for her parents in 1970s Liverpool. Morgan represents the difficult time of the 70s extremely well, for Robyn quickly learns that life is cruel and she has to depend on herself. There is a beautifully nutured relationship between Robyn and her Nan that rings true to a lot of relationship traits for Scousers and was my personal favourite. Morgan characterises brilliantly throughout the story and brings home and heart to writing, which is exactly what I intend to achieve. Disappearing Home is a great read and I would highly recommend it to fellow readers and writers. This is a book I read last year, and found a review in my journal. The City & The City is very different to what I normally read. Essentially it is a detective story at heart, which I have read an abundance of, however it is interestingly not your typical thriller-detective story. The author, China Mieville, has created a story set in an anterior world, in the location of Beszel and Ul Qoma, Two cities are intertwined unbeknownst by the habitants. They are separated by harsh borders with the ‘in-between’ space shrouded in mystery. This twist on a detective story is unusual and haunting, Mieville uses very descriptive language to represent his chosen world and it gets the mind working on another level, very clever fiction. Inspector Tyador Borlu is the only character that is given any depth. Yes he is the main character but the rest are quite forgettable in the end. Usually, this would bother me, because as a writer I believe in representing the characters who make a difference in your novel. The detective story part is fairly straight forward, a woman is found dead and Borlu has to find out why, whilst fighting against complications from politicians and the mysterious revelation of the two cities colliding. It is one of the most interesting books I have read in recent years and I appreciate Mieville’s writerly style and his boldness. The ability to create two worlds and keep them consistent throughout a novel length, whilst maintaining multiple twists is something to aspire to. I hope I can hold a reader like Mieville does. This was recommended to me by a fellow writer. 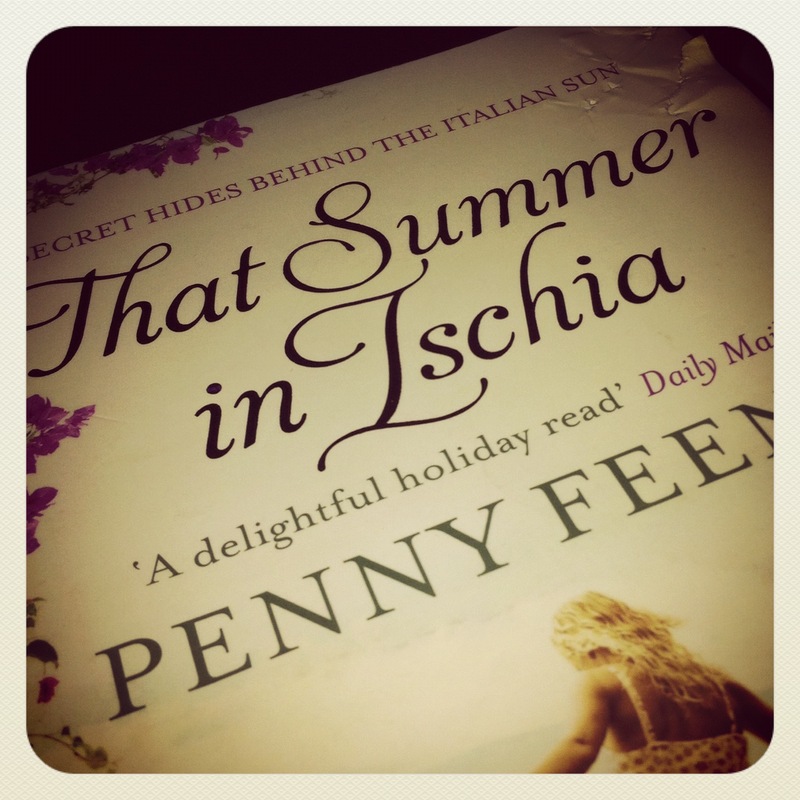 See her site here – Clare Doran From Tindal Street Press, Penny Feeny’s That Summer in Ischia is a light and enjoyable read. The story follows three main characters throughout, although at different times in their lives. Helena and Liddy are best friends, who in the 70s travel to the island of Ischia to be au pairs for a wealthy Italian family. Whilst there, one of the children in their care is ‘abducted’ and Helena takes the blame with seemingly little help from Liddy, resulting in the breakdown of their friendship. We then come to 2003 in Liverpool where Helena’s daughter Allie is finding clues of her mother’s past, every distorted part. After travelling to Ischia to uncover more details and search for her father she figures out the truth of her mother’s stay on the island. Overall it is an interesting idea and the plot is not too heavy so it’s simple enough to follow. However, parts of it seem quite weak and forgettable with some things happening a little too easily e.g. when Allie shows up on the island she is welcomed into a stranger’s home and accepted by them no questions asked, or how there is little focus on the ‘abduction’ or ‘disappearance’ of Mimmo, the young child. This is Feeney’s first novel and I admire her writing, particularly the characters. They are believable and fighting their way through the obstacles of real life. This is an element I can take away with me and use in order to make my reader see the characters as people in their current world. Also for me as a reader and a writer, setting is very important in the structure of a novel and this is the most successful element of That Summer in Ischia. When reading this novel I was most happiest when Feeney was describing the surroundings of the Italian island or the iron men of Crosby beach in Liverpool. This really will help me with my current writing as it also has an Italian thread running through it; I am bringing Little Italy to Liverpool. So for that and the strength of her characters I thank Penny Feeney. This is a very inspirational story from several classes of teenage students in a California high school. Erin Gruwell is a young teacher about to embark on her journey as an English teacher. However, the students of the school in Long Beach, California are divided based on their backgrounds. Racial riots in the area are rife and gang activity is making its way into the school. Gruwell is placed with the ‘unteachable, at-risk’ students and after many difficult interactions in class she realises they are troubled teens with rough experiences that no adult could imagine. Gruwell gives them a notebook each to start their ‘journals’ and record their own thoughts and feelings. These diary entries make up the main body of the book and are some of the most upsetting and difficult things to read, knowing they have come from a young person’s real life experiences. As well as rooting for the underdog, the most joyous thing about the diary entries is the developing strength and hope of all the characters. By simply reading, and writing their own feelings, these students were able to begin to believe that they are worth something and have a talent. The book doesn’t follow all of the 150 students that were involved, but we follow a select few through their junior and senior years, making it to graduation, something they thought they would not survive to see! The only thing I would have liked to have seen is more entries from Erin Gruwell herself, so she could describe in words how the students developed. I enjoyed this not only because of its encouraging intention, but because the writing is so real and from the students’ hearts. It goes to show that if something can’t be said aloud for whatever reason then write it! There is a great deal of strength in writing.